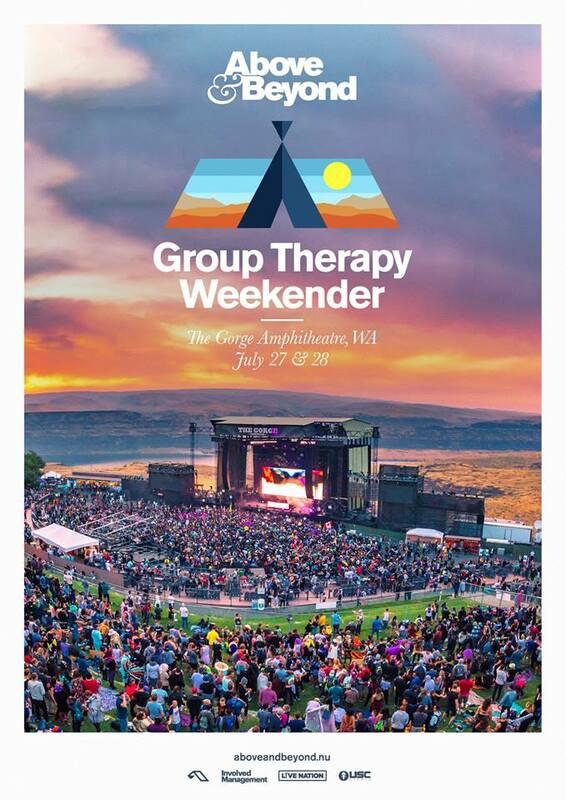 Above & Beyond announce the inaugural “Group Therapy Weekender” festival at the Gorge Amphitheater on Saturday, July 27th & Sunday, July 28th 2019! We’re revisiting one of the world’s most breathtaking natural amphitheaters and the site of ABGT250. 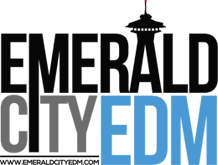 Two days of music featuring a lineup of Anjunabeats and Anjunadeep stars! The ABGT milestone shows will continue to make their way around the world, giving fans in different locations the chance to experience them. But we couldn’t let that stop us from coming back to The Gorge, our new spiritual home. By creating this new “Group Therapy Weekender” we hope, with your help, to recapture the same magic at this incredible venue. 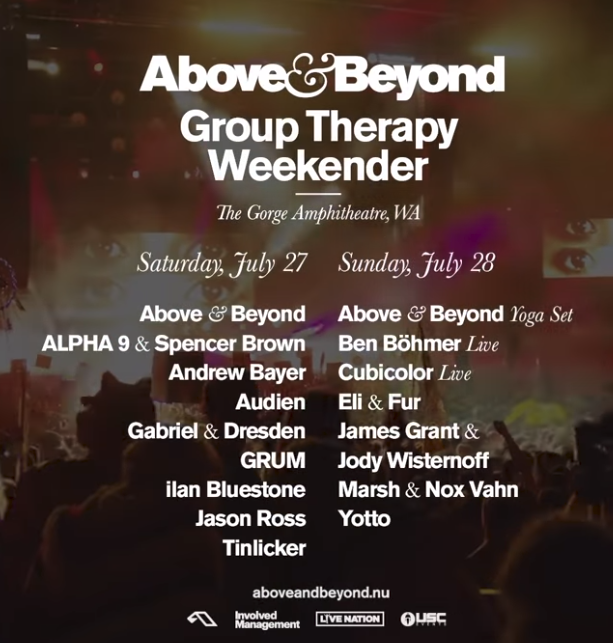 Ever since Above & Beyond’s sold out 25,000 capacity show at the Gorge in 2017, fans have been clamouring for a return to the magical Gorge Ampitheater in Washington State, and the trio have responded with the creation of a new summer festival, featuring two nights of good old fashioned Anjuna family fun under the stars and the finest talent that Anjunabeats and Anjunadeep have to offer. Ever since that show two years ago, Jono, Tony and Paavo have been quietly plotting their return. Saturday afternoon will take place in the inimitable surrounds of The Gorge’s main amphitheatre, where Anjunabeats label stars past, present and future will take us from day to night. Anjunadeep take charge of proceedings on the Sunday in the adjacent Gorge Meadow, the imprint’s current crop of top flight deep house talent providing the soundtrack for a day of deep decompression and higher states of consciousness.